Transmutation is a new system that is introduced with the Clockwork City DLC. 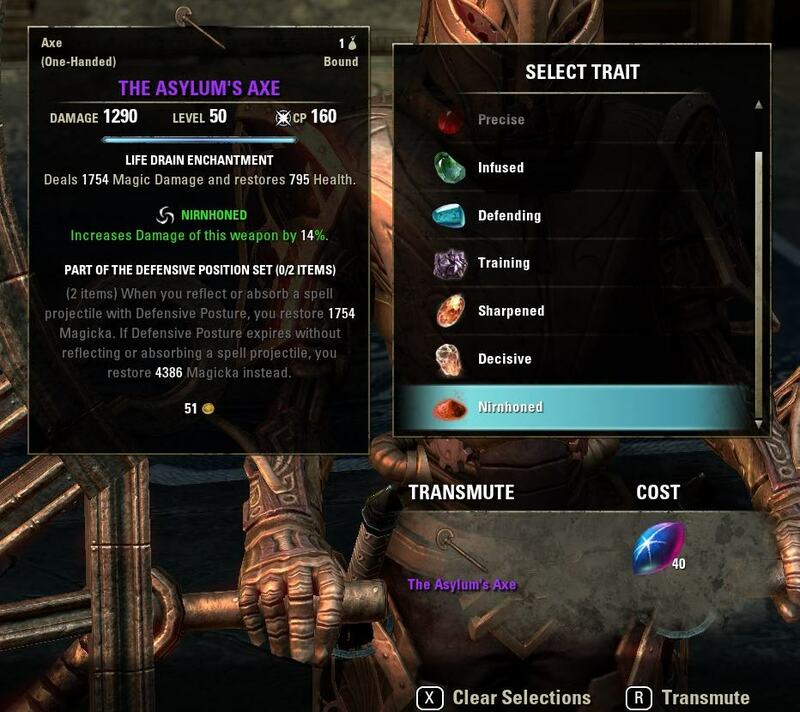 It allows you to change the trait of your weapon and armor to whatever you want, as long as you have it researched. You will need 50 Transmutation Crystals to be able to change the trait of a weapon. 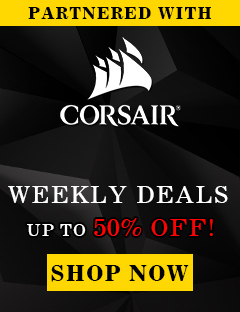 You can not trade Transmutation Crystals, so you will need to farm them for yourself. No matter what quality your weapon or armor is, it will always cost 50 Transmutation Crystals to change the trait. The Weekly Veteran and Normal-mode Trial Quests now give 5 Transmute Crystals upon completion. Dungeon and Trial Leaderboards placement now award 5 Transmute Crystals. Dragonstar Arena Veteran now award 5 Transmute Crystals. Maelstrom Arena Veteran now award 4 Transmute Crystals. 7-day Cyrodiil Campaign Leaderboards will now award 10 Transmute Crystals. 30-day Cyrodiil Campaign Leaderboards will now award 50 Transmute Crystals. 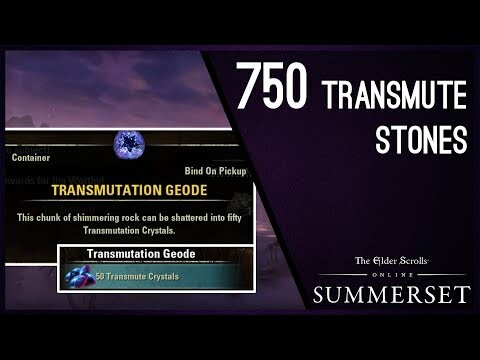 The Uncracked Transmutation Geodes awarded from Rewards for the Worthy mails will now give a minimum of 4 Transmute Crystals and can rarely grant as many as 25. Every Final Boss from Dungeons has a chance to drop “Uncracked Transmutation Geodes”. There is a very reliable way on how to get up to 750 Transmute Stones per account every 30 days. 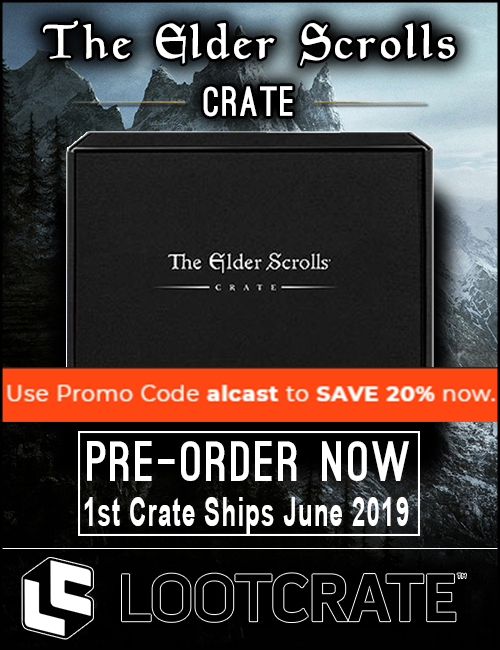 I showcase it in the video, basically you have to reach tier 1 reward in one of 30 days Cyrodiil’s Campaigns, when the campaign ends you will receive 50 Transmute Stones. You can have tops 15 Character so 15×50 results in 750. It does not matter what level your character is, just make sure you have set the Campaign as your HOME Campaign and get the 25000 Alliance Points to reach tier reward 1.